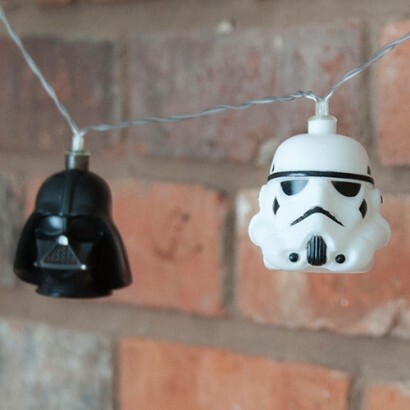 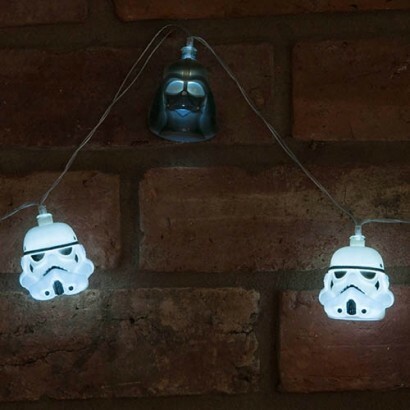 Packed with character, the iconic helmets of Darth Vader and his Stormtroopers are lit with bright white LEDs to make a fearsome light chain! 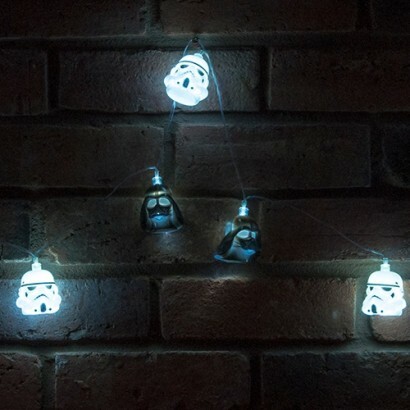 A must for Star Wars fans no matter what their age, these cosmic character lights will bring the Star Wars universe to your Empire shining with the Force to create a funky lighting feature. 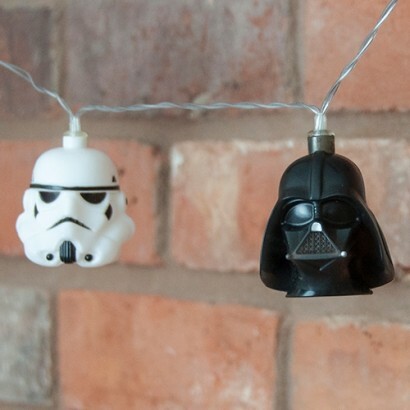 Battery operated, place these Sith themed lights anywhere to light your Darkside!